New 2018 LSV. Questions ? I Have questions that I know the crew will answer easily as I go through all the systems on my new LSV. I have been through the manual but seems to be very generic and gives no specifics. Take to dealer for service. No thanks, I'll do it myself. 1) Is the only manual you get the large Malibu 2018 owners manual? My 2012 VLX had engine, V drive and boat manuals. 2) Looks like they have sea strainers now, it has a fitting that looks like will except a garden hose. Can this be used to warm engine without Fake A Lake? 3) Oil cartridge #? Just ask for Ford Raptor 6.2 Cartridge at any parts house? Plan on doing all routine Maint myself. 4) Oil type required and what you using? I have the Raptor 6.2 410. 5) Not big surfers here ( Hydrofoil 80% of Time) but now that it will be easy to set up, may do more. Don't have PNP bags, will she surf stock and what PNP bags recommended? 6) Need a spare tire and wheel. Got the stock 14" D rated tires. Best price for matching wheel and tire, or cheap wheel as it will be covered anyway? 7) V Drive and Transmission still Dex III ATF? 8) Need Ratchet transom tie downs. Who has a lead on best place for these? Kinda pees me off they even let them out with none! 9) How do you use the surf straps on top of the bimini? If i unzip front or back of bimini to reach straps, It's so tight I cant get it rezipped without using pliers. Assuming that is the way to use it? 10) What is the hard tank capacities on 18 LSV? Can’t seem to find that stat anywhere. #1 I just found my Indmar Marine engine Manual. It was buried under other stuff and I just missed it. Also found a Op manual for Viper 400. Will study them in next couple days for answers to above questions. You can shout them out here anyway and i"ll have it all in one place eventually. #2. Yes that's where you can hook a hose to warm the engine and whatnot. Watch out for the basshole on the right! 1) You should have a Malibu manual, Indmar manual, and Viper manual. 2) That is a hose hook up on the strainer so you can run the boat out of the water. 4) Minimum requirements: For 410 and 450 engine Semi-synthetic 5W-30 oil meeting the API rating of SN. For 575 engine Fully synthetic 15W-50 oil meeting the API rating of SN. I personally like Mobil 1 oil. 5) You can surf the stock wave, but the wave gets much better with PNP. Look at wavemakers bags. 6) I went with a cheap spare tire from Northern Tool. I mounted it under the boat on the trailer, not on the side of the tongue like the factory does. 7) Trans is 2.3 qts of Dexron III and V drive is a 50wt gear oil. 8) Ratchet tie downs at the rear are an option from the factory. Check out boatbuckle.com they have ones that bolt to the trailer. 4) Dealer says they use Castrol Syn 15w40, Just found oil recomendations in book, Your spot on Thanks. 6) What tire / wheel from Northern? I will put a cover over it anyway. Side mount is already on trailer, no spare. Don't get much these days for $100,000+. Check the oil. The 350 takes 15w40. The 6.2 calls for 5w30 Mobil1. This is from my 15 Indmar manual. Not sure what you have. 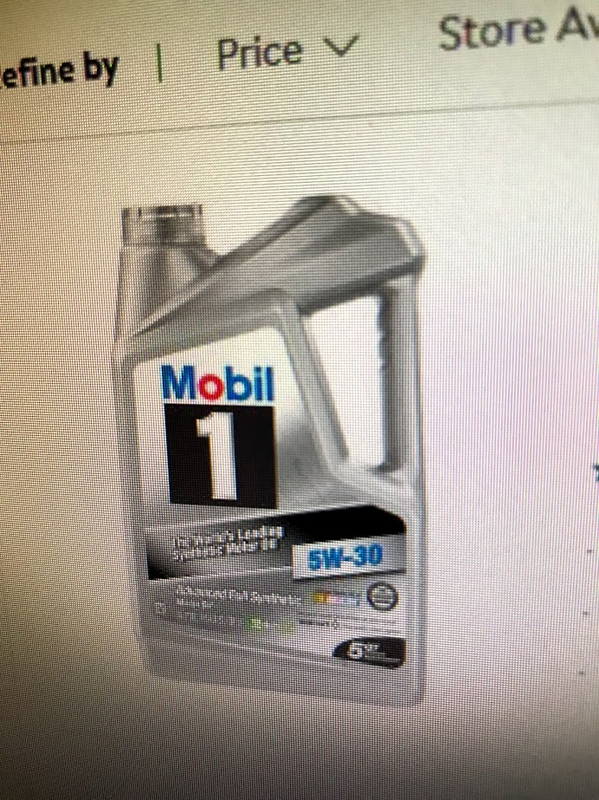 For my 6.2L 575 My dealer uses and recommends the use of the Mobil 1 15W-50. If you go to the Indmar site and look at the MSDS for the oil it states the source of the information is from Exxon/Mobil. Not a hard stretch to think the Indmar oil is Mobil 1. Just an FYI to you guys running 15w-40 and 15w-50....... it’s not a great idea in an overhead cam engine. It was probably always fine in the OHV Chevys of the past, and the Old OHV Fords. But for the modern OHC Ford V8, running 15w-50 won’t do it any favors. So with mine being the 6.2 410, Book calling for Semi-Synthetic 5w30 meeting API rating of SN I will be shopping local to see what I can find. Mobil site information on 15w-50 Full Synthetic seems to be designed for the supercharged application. BMW spec'd out a special 15w-60 in the 2001-2006 M3 which rev'd to 8500rpm. I am sticking to the factory recommendation. Excerpt from site below. Mobil 1™ 15W-50 is an advanced full synthetic engine oil designed to help provide exceptional wear protection for a smooth driving experience. Mobil 1 15W-50 meets or exceeds the requirements of the industry and car manufacturers' standards required for high-performance turbo-charged, supercharged gasoline and diesel multi-valve fuel injected engines. Mobil 1 15W-50 is a winning, race-proven technology. It is especially suited for a wide variety of motorsports applications, towing, and other severe service situations. Mobil 1 15W-50 helps to provide outstanding engine oil performance and protection for the winning edge. Mobil 1 is the official motor oil of NASCAR. I just changed my oil on Saturday (Raptor 410). I used Mobile 1 5w30 available from Walmart for $25 per 5 quarts. The manual calls for 8 quarts so you’ll have some leftover for next time! i bought my filter from my dealer for $15. It was an Indmar branded filter. Ya, the M3 oil is actually Castrol Motorsport TWS 10w-60. Back in 2002 they had to change the design on the connecting rod bearings and require that oil, so that they wouldn’t grenade the bottom end in the S54. Ive had a love affair with the E46 M3 since they came out. I still have one. Love that car. I suppose it makes sense in the Raptor 575, because that engine’s bottom end was not designed to be supercharged. Indmar probably decided that more protection for the bottom end, is more important than the oil starvation on the top end during startup. I got to see the long term effects of a Roushcharged 6.2 in my 2013 Raptor. It made it about 80k miles before the bottom end came apart. I ran the recommended Mobil one 5w-30. For what it’s worth, my pickup was a Phase 2 585hp kit. 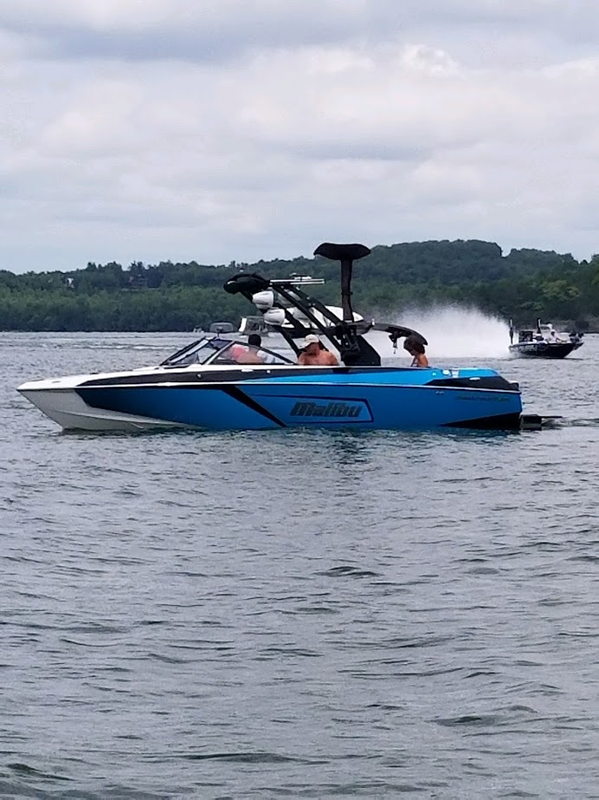 The Indmar setup is the phase one 510hp kit. So, the engine in my Raptor was probably exposed to higher levels of overall stress. 3) Oil Cartridge #? I have come up with a Wix # of 57186 but NApa says the wix 51372 is for the Raptor 6,2 and 57186 is Volvo only? Can someone confirm? The early Malibu production Raptor 6.2 motors came with a spin on filter at the bottom hence the 51372 required for those only. Later Raptor 6.2 engines have a remote oil filter which uses the cartridge style filter. That is the 57186. All 2018 have the cartridge style. Congrats on the new boat dalt! Can anybody confirm that the Mann HU719/8x is also a filter that will work for the 2018 Raptor 6.2 (410) motor that requires the cartridge type? I came across this one while searching for alternative filter options to the Indmar 501022. The Mann filter seems to have better reviews than the Mobil 1 M1C-451 filter, which some people complained had issues with collapsing. My dealer is not nearby otherwise I'd just pick up the Indmar filter (which is probably just a re-boxed Mann filter anyway). @Brett B do you know what they mean about collapsing? The housing has a plastic tube that goes down the center of the filter so i can't imagine the filter squeezing together. Yes - at this price ... no need for blend. I think blends were supposed to be a cheaper alternative to full syn. Found this handy chart on the Indmar site. You can use full synthetic on the 410 or 450 but Indmar recommendation is a blend. Looks like the folds of filter element collapses in on itself during use instead of maintaining the fanned out shape for proper filtration and oil flow. wow that's pretty wild. Thanks for sharing. I've always liked the traditional M1 filters, but now i'm wondering what they might look like inside the housing.